(Gloucester Township, NJ) – Each year, the Camden County Freeholder Board sponsors the annual Women’s Health Expo. This year, the day-long conference will be held on May 12, from 8 a.m. to 3 p.m., at Camden County College’s Blackwood Campus located at 200 College Drive in Gloucester Township. The expo is free to attend and will include free dental exams and eye exams. In addition, free onsite, licensed childcare will be available to all attendees. Experts from around the region will lead interactive workshops and panel discussions on health; nutrition and exercise; family; mind, body and spirit; along with sessions on professional and financial wellness. The day’s activities will also include a health and wellness exhibitor fair with more than 150 exhibitors, complimentary box lunch, tote bag, giveaways, door prizes and more. 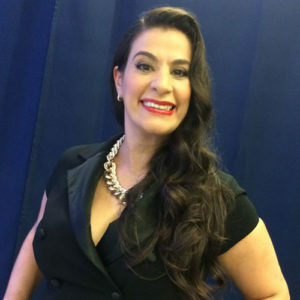 One of our featured speakers this year is actress, comedian, writer and disability advocate Maysoon Zavid. She has toured extensively as a professional comedian, and co-foundered the New York Arab American Comedy Festival and the Muslim Funny Fest. She was a full-time on air contributor to “Countdown with Keith Olbermann” on MSNBC, and has appeared on “60 Minutes,” the Oprah Winfrey Network and ABC News. Maysoon proudly serves as an ambassador for the Cerebral Palsy Foundation. Other speakers include Director of the Graduate Program in Publishing at Drexel University Kathleen Volk Miller, and renowned headache specialist Dr. Loretta Mueller. To register, or for more information, visit www.camdencounty.com.